I have made several blocks for my husband quilt. ( Of course the blocks are at home and I am not, otherwise I would have better pictures to show. I do hope to post more pictures later.) I brought fabric to the retreat I am at and am now plagued by indecision. The background fabric I had purchased is not MAKING ME HAPPY. I am beginning to think it is too dark. I bought it a couple of years ago with my husband’s help. ( Long story, can I say LESSON LEARNED and I will never do it again!!!) He picked the color and later painted the walls in the master bedroom to match. Since then I have had frequent hints about when I am going to finish HIS QUILT. I have made several blocks but have not gone too far in making the blocks that I feel I could still change my mind. 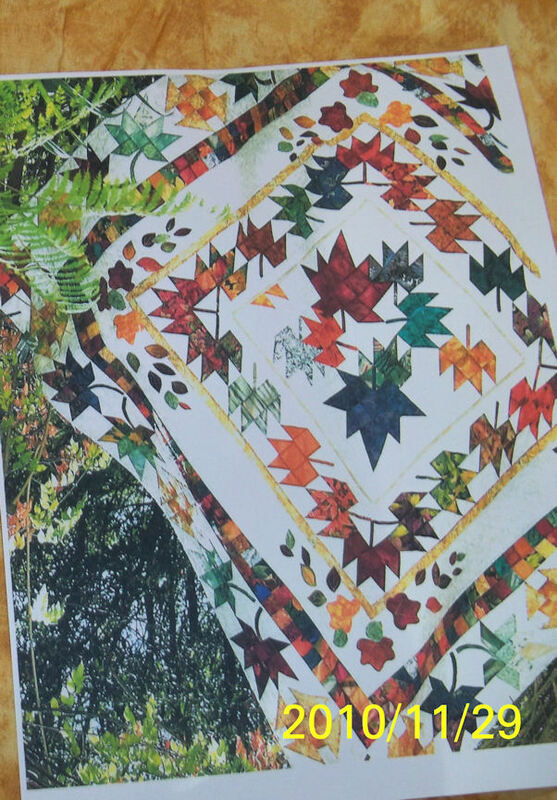 I am posting pictures of the original inspiration quilt and a magazine picture of the pattern that I was able to come up with. 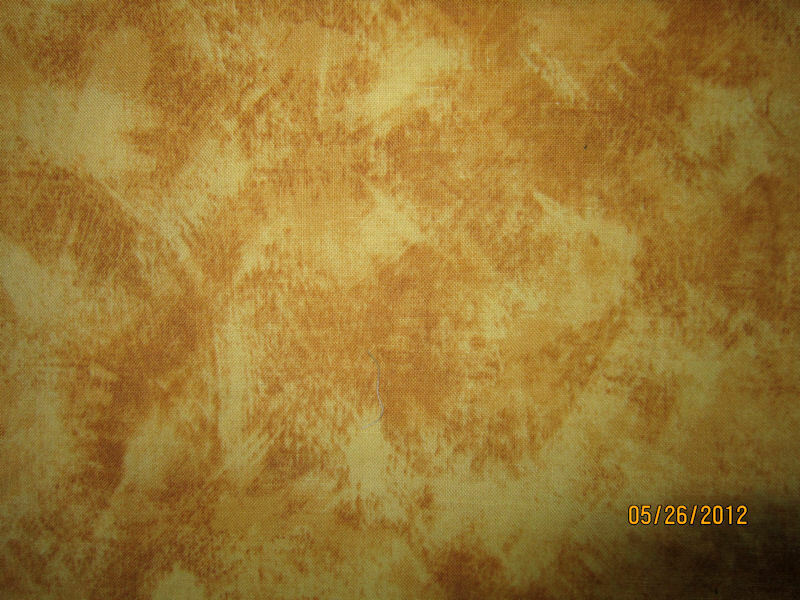 You will notice the fabric I have posted is much darker (medium value butter scotch) than the fabric in the inspiration quilt (mottled buff / beige.) I have seen fabric close to the original fabric, just not very mottled. I HAVE NOT BOUGHT IT, YET ! For the leaves and boarder blocks I am planning similar but not the same colors… mostly darks and medium darks tone on tone, small scale prints. I think very similar to the original colors and I have many fat quarters and left over fabrics suitable for these blocks. Part of a block being made, here is where I stopped, as I am not liking the background color. Other colors chosen will be various brown, greens, blues, reds, orange, rust, plums and pale yellows … very similar to the original colors. This is a copy of the original quilt magazine that inspired the raffle quilt made by my guild. My husband saw it and loved it…he bought $20 of raffle tickets…something that he had never done before. You can see the back ground fabric is plainer and more cream / buff color. Original pattern was throw size, the raffle quilt below was queen size. OKAY my questions to you are: I want detail explanation of what you think and why. Please no simple one sentence answers as I want this to be a conversation / discussion not just I want to be in on the give away. Random drawing of posted comments. Cost is LITTLE / no object this will be an heirloom quilt. 1. 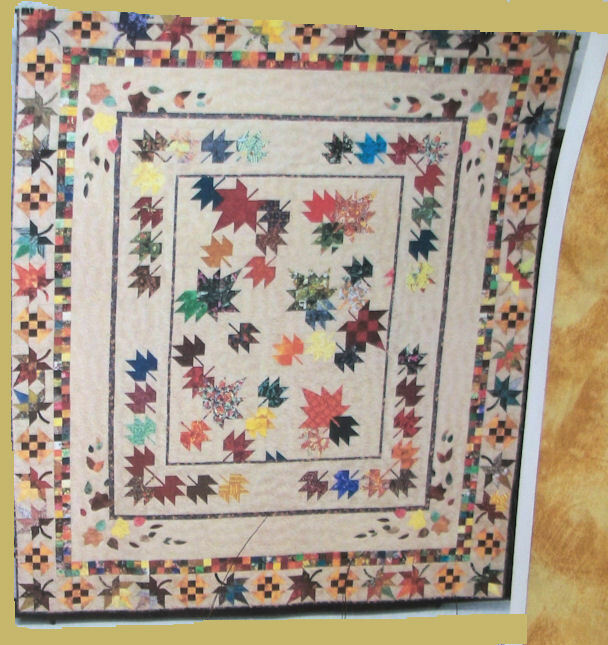 Should I go with the original background fabric … I would probably have to chose darker fabrics from my stash to do the focal patchwork leaves and blocks. 3. 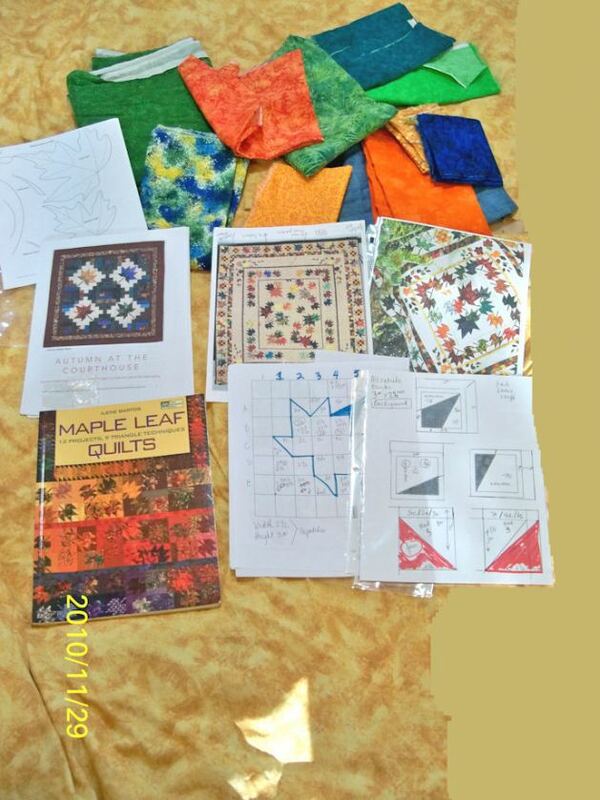 The real problem, should I honor my husband’s selection of fabric since he is not a quilter and has little or no understanding of making a quilt or should I go WITH my own intuition that a different background would make a better quilt. Knowing him he just wants the quilt done and would not really care about the fact I change my mind and went with different fabric. He would be a little peeved to know I would be spending more money for new fabric since I have so much fabric as is….. BUT WHAT HE DOES NOT KNOW WILL NOT HURT ME or HIM! I have a new copy of Quilter’s Academy Junior Year, by Harriet and Carrie Hargraves to be given away. Drawing WILL be the end of June or the first week in July and will be posted on my blogs and announced on the podcast. I do not use random generator. I put names in a hat and my grandson draws the name out. 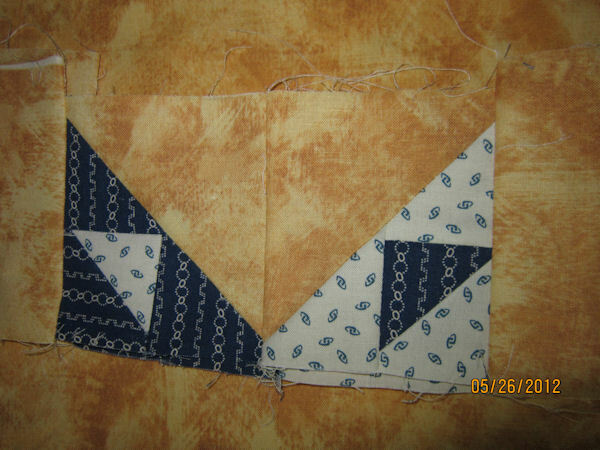 TO enter post a comment here on WORD PRESS , on POD BEAN or email me at Nonnie’s Quilting Dreams. Be sure you are not a NO REPLY commenter because I will not have a way to reach you for your prize. You will have to check back for the announcement or listen to my podcast ( preferred by me) for the announcement of the winners.